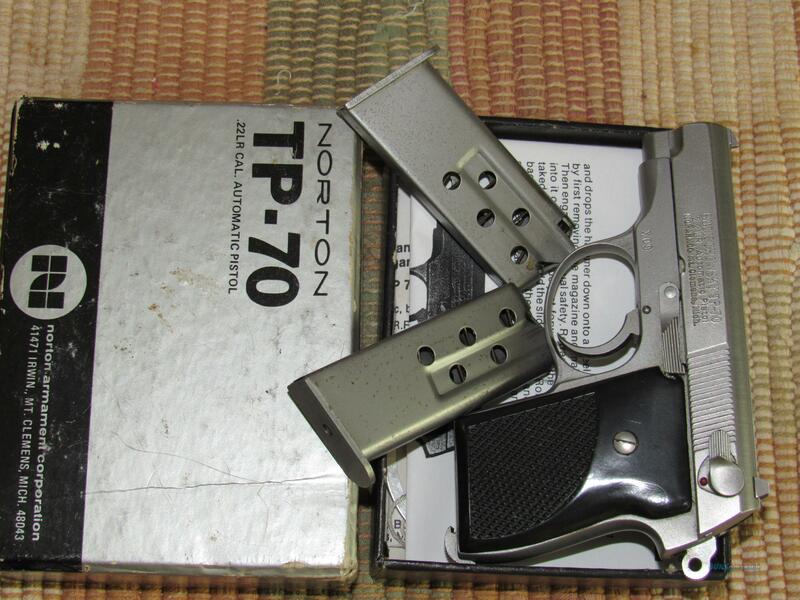 Description: This pistol is of the first group of 10 ever made. It is SN X-9. It comes with 2 mags and the original box. It is in like new condition but I am sure it was fired as I read they tested all before they went out of the factory. I have never shot it in the 35 plus years I have had it. This Presentation unit was one the sales people took to show dealers as a sample of what they sell. It is all stainless including the mags.